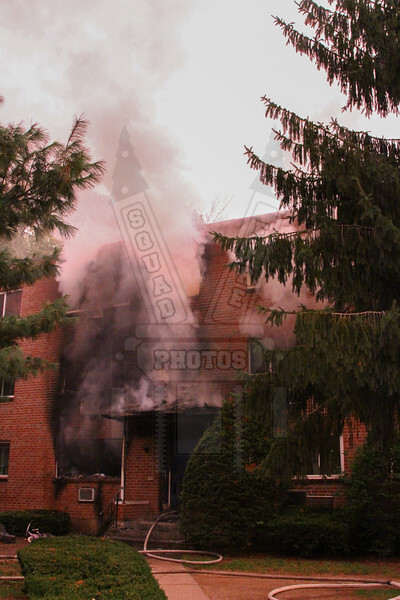 East Hartford, Ct responded to 15 Bell Ct on 10/4/14 at 0630 hrs. for this apartment building fire. On arrival of Car 3 he struck the 2nd alarm. They had heavy fire showing from 3 floors with people hanging out the windows waiting to be rescued. There were 2 jumpers and at least 4 rescued by members over ground ladders. Companies had difficulty making upper floors as the stairs were burned out when they made the front door. The members were pulled out when the bricks in the front started showing cracks and an exterior attack was made to knock down the fire. Five civilians were transported to area hospitals. Mutual aid from Hartford and Manchester assisted at the scene.